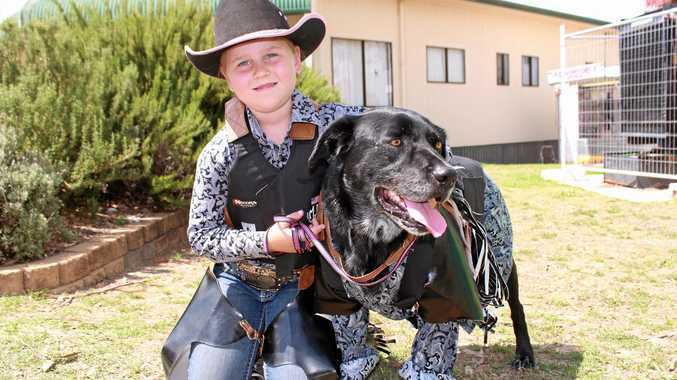 IT'S not every day you see a dog wearing chaps and a paisley cowboy shirt but, if you were at the Warwick Show yesterday, you might have. 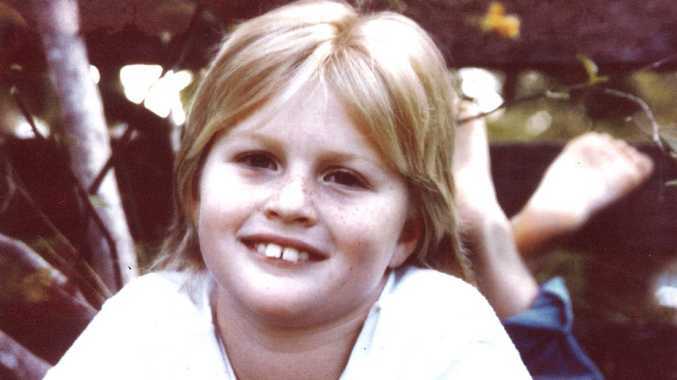 Eight-year-old Hailey Leeson and her best pal, Plum, were the proud winners of a suite of blue ribbons in the pet section of the show, including the best "pet and owner look-alike”. Clad in identical outfits, the two were a picture of cuteness judges Autumn Taylor and Georgia Hunter could not resist. "I have never seen a competition like this before,” Cairns Showgirl Miss Hunter said. 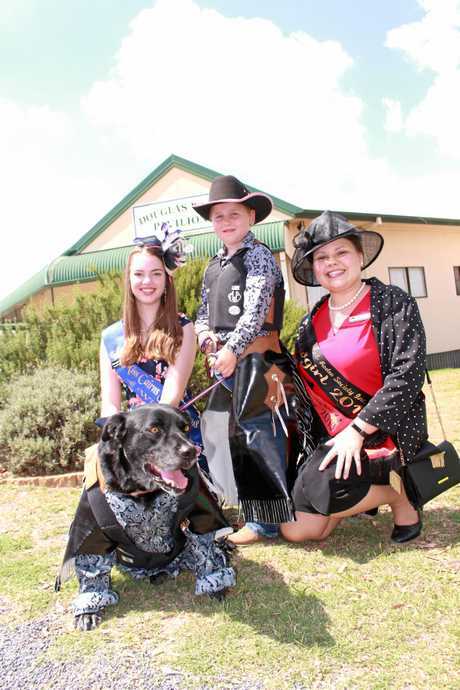 With pets ranging from blue tongue lizards to guinea pigs and poodles, the variety of animals that rocked up to compete had spectators cooing from their seats. But for those tasked with promoting the show, the turnout was an omen of longevity. "The children that come along and compete in these events are the future. They are the ones that will continue the show for years to come,” Warwick Showgirl Miss Taylor said. She said there was a big emphasis on attracting children and it wasn't just pets that drew kids to the stages and pavilions. Drawing, collage and baking were all hits with young competitors. "Having competitions like this that kids can enter makes them want to come to the show and see what they have competed in and how they went,” Miss Taylor said. For Hailey and Plum, family is what it was all about. The shirt Plum wore was borrowed from her dad and the inspiration to compete was her older brother, Tommy, who was showing steers. Mum Rebecca said the competition was a great confidence booster for Hailey after weeks of preparation. "It gets them out and involved in the community,” she said.